Small and late-flowering kousa dogwoods (Cornus kousa) are slow growers, but the results they produce are worth your efforts to grow them. Their tiny, star-shaped blossoms come later than other dogwoods. When first flowering, they are pale green, but eventually they turn a luminous white that appears to glow in the dark. They are a delicate vision at twilight in late spring. Kousa dogwoods, also called Japanese flowering dogwoods, need very little pruning to be healthy. They can be planted in the landscape as a large shrub or a small tree, depending on how you prune and shape them. Prune when the kousa dogwood is dormant, in late fall or early winter. Do not prune when the tree is flowering in the spring, or you will make it vulnerable to dogwood borers, one of the very few pests that seriously affect it. 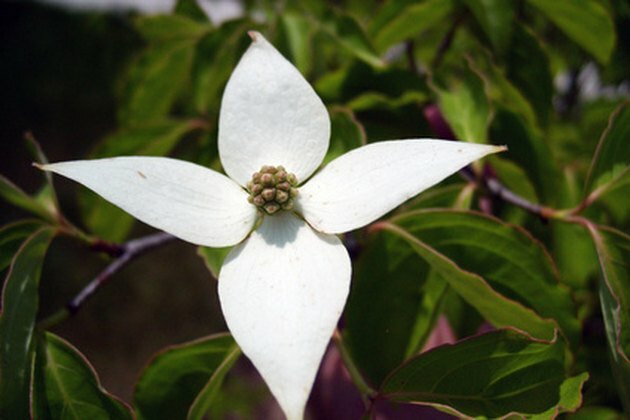 Think of the kousa dogwood in thirds. To encourage a shrublike appearance, trim off the top third of the tree with long-handled pruning shears to promote new branch growth near the ground. Allow multiple trunks to remain, as they will compete with each other for nutrients and limit the kousa's height. Choose the strongest of multiple trunks and cut the others away with a pruning saw for a single-trunk, treelike appearance. Snip off branches on the lower third of the remaining trunk with pruning shears and the tree will grow taller, faster. 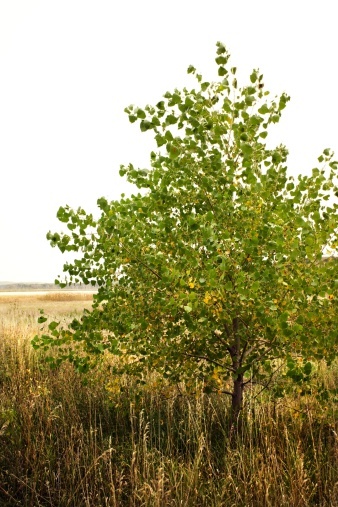 Allow the kousa to grow for the rest of the year without any further pruning except for deadwood or storm damage as it occurs. Initially, kousa branches will grow vertically, but strong lateral growth will develop as the tree matures, giving a beautiful, broad reach without any further assistance. Cut branch refuse into manageable pieces and place in yard waste bags for disposal or add to your compost heap.